Hope everyone had a lovely wee Christmas and i wish all a peaceful and prosperous Happy New Year. Now that chrsitmas is over, I can show you some recent ‘LLCrafts’ christmas orders! …. like this Ballymena customer’s gift to her husband, depicting his local pub ‘Crosskeys Inn’. 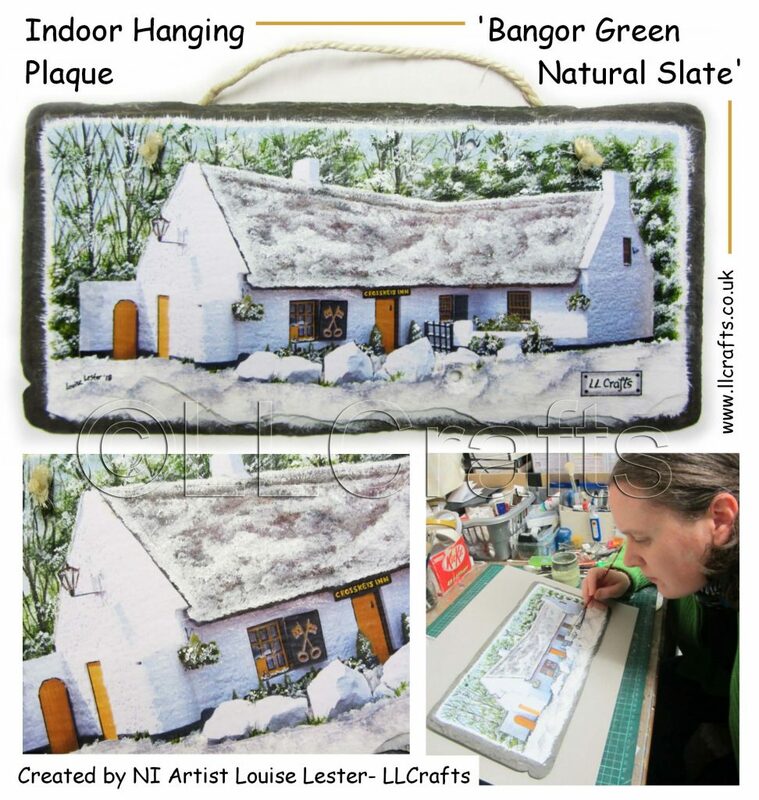 Lovely wee pub painted in a snow scene onto beautiful natural slate! Have your own personalized hanging plaque or slate! …. with a design which is something meaningful to you! Lovely customer ‘Jim’ from Ahoghill, Co.Antrim, Northern Ireland ……. has been back mutliple times to ‘LLCrafts’. 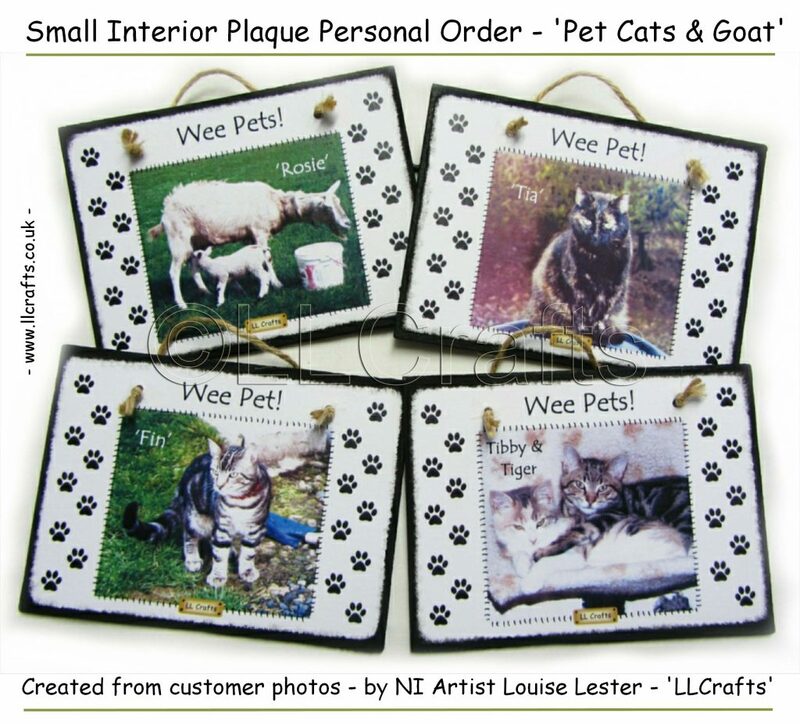 placing orders for these beautiful ‘Personalized Pet Plaques’ ……… worked directly from his photographs! Some were for himself and some for genuinely thoughtful gifts ….. Love it!! From the roof of the house in painting! This customer from Antrim, Co. Antrim in Northern Ireland …….. order a beautiful unique keepsake, from the son to his mother ……. wanting the house painted on it that she used to live in! How special is that! Even better, the slate itself came of the roof of that house! Love it!! ………. and it will be hung in interior. Such a unique and fantastic gift! Place your own order, with whatever imagery and design you wish! 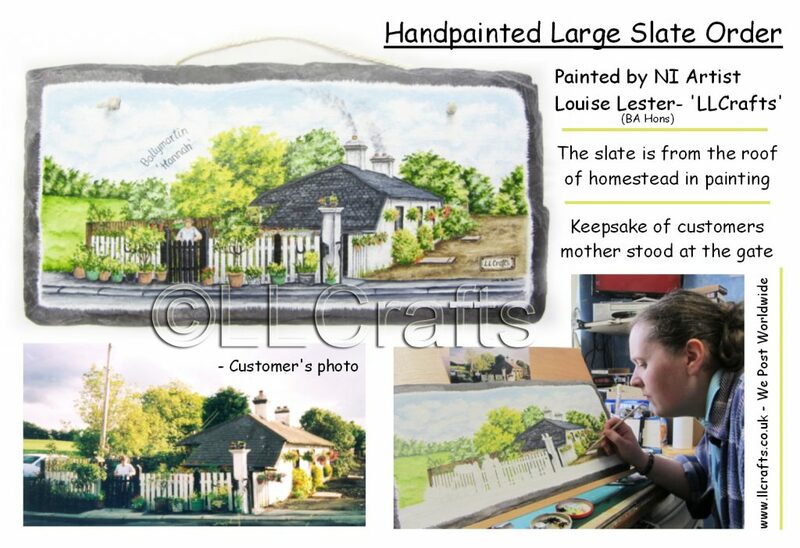 Supply your own slate or i can supply a varity of sized and shaped slates! …….. Contact me, Louise. 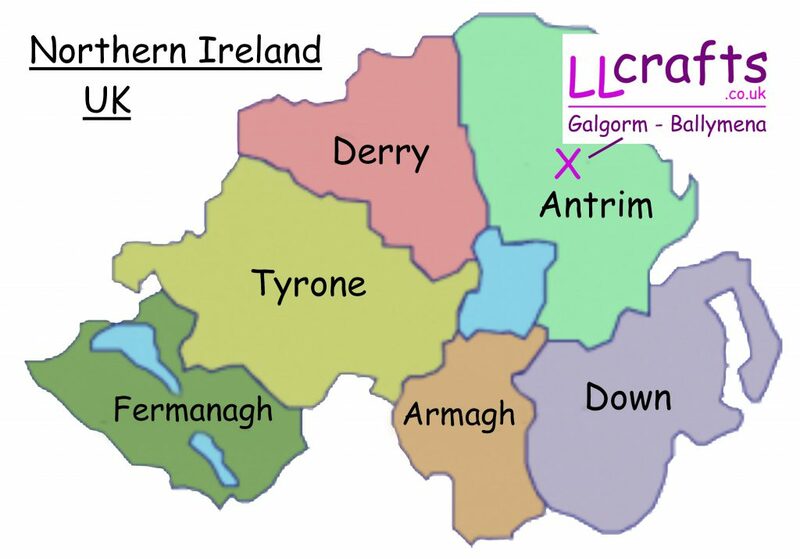 At the moment, in my order book it is brilliant to see alot of my present customers at LLCrafts are from all over Northern Ireland & Ireland! People are certainly finding me, in my small corner of Northern Ireland, UK! Happy Days! We are packaging up a ‘Painted Personal Milkchurn Order’ as a lovely WEDDING GIFT, that is being posted this week to a customer in Castlebridge, Co.Wexford in Ireland ……. WE POST WORLDWIDE! Always great to hear from new customers and see past customers returning! HAPPY DAYS!! and also visit my social media links (at the bottom of this blog) to see lots of samples of my artwork! 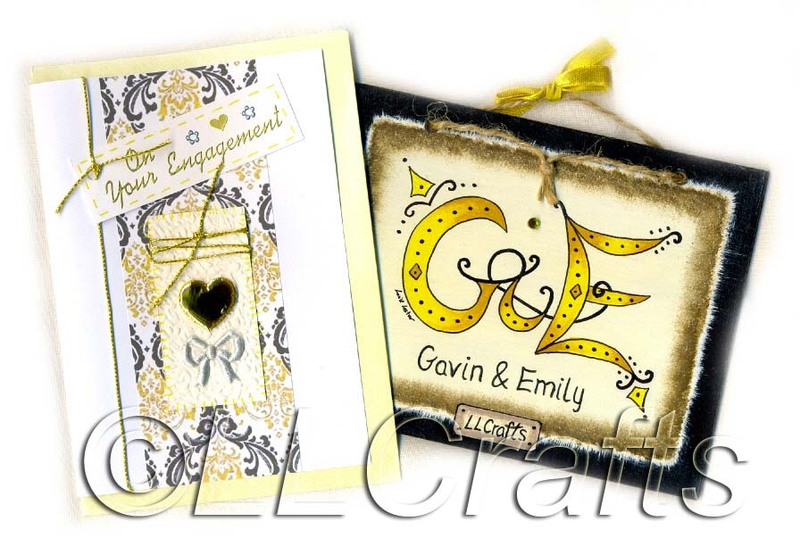 ” Hi Louise (LLCrafts) ……….. thank you so much for the lovely engagement card you handmade and thank you very much for the beautiful name plaque, we LOVE it!!! Gavin & Emily” ………. North Devon, UK. 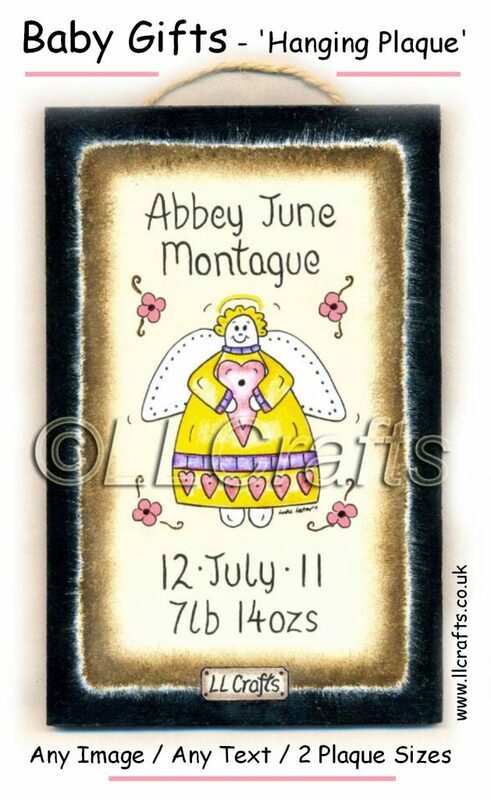 “Hi Louise (LLCrafts) ……… I have been a fan of your work for some time and have been waiting for the right occasion to buy. The plaque has arrived safely and it is perfect for my christening gift! …… it really is beautiful! Many thanks, Sharon Moore” ……. Omagh, Co. Tyrone, Northern Ireland, UK.